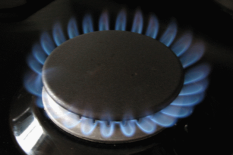 UM Newsdesk reports a study by University of Maryland Center for Integrative Environmental Research (CIER) which concludes improving energy efficiency of homes in Maryland using natural gas for heating would generate environmental and economic benefits for the next 10 years. The principal investigator Matthias Ruth, CIER director and Roy F. Weston Chair for Natural Economics at the University of Maryland says, "We're missing some big opportunities to lower home heating bills, improve the Maryland economy and reduce carbon emissions." The Maryland Department of the Environment commissioned the study, Strategies for Carbon Dioxide Emissions Reductions: Residential Natural Gas Efficiency, Economic and Ancillary Health Impacts in Maryland. The University of Maryland's CIER conducted the research in partnership with The Johns Hopkins University, the University of California, Merced and Towson University.